As travelers, we all hope to live deep cultural experiences when we travel to a new country. But that’s something we can’t get from just visiting the monuments and landmarks highlighted on a travel guidebook. So, in order to enrich your visit to Seville, we’re going to show you 3 local and living traditions that you can actually get involved in. 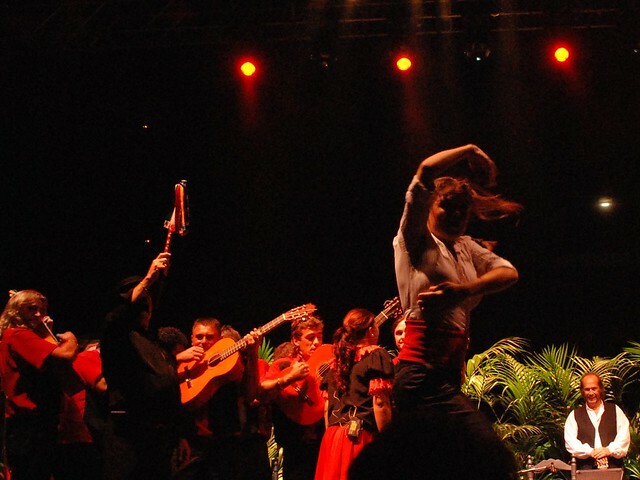 Influenced by Moorish, Jewish and Gypsy cultures, Flamenco is considered one of the Intangible Cultural Heritage of Humanity. 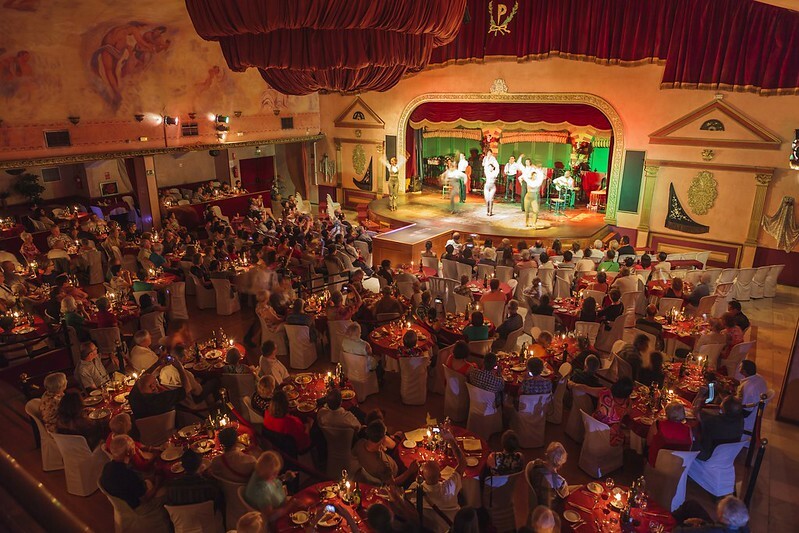 One of the perks of being in Seville is that you can experience flamenco dancing in various intimate settings venues, bars, and tablaos around town. Which means that you can do so while enjoying a glass of wine and the typical Spanish tapas. 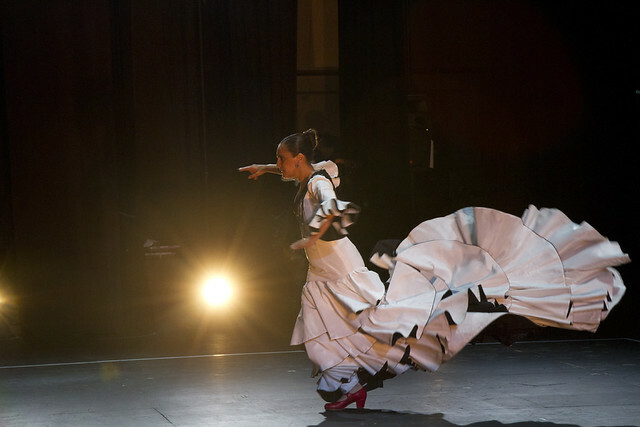 For almost a month (September to October) professional and amateur dancers come together to dance Flamenco in its most traditional form, and in more contemporary expressions. The festival takes place on many stages scattered around town, and although some shows are free, most tickets start at €10 all the way up to €40. For the intimate shows (44 people max.) adults pay €30. On high season there’s an extra show at 22H15. If you are traveling through southern Spain in the months of March and April (check the precise date here: Seville Holy Week), don’t miss the opportunity to experience how the Holy Week is celebrated by Sevillians. It’s a unique cultural manifestation in the world, and it doesn’t matter if you’re Hindu, Buddhist, or an atheist. The Seville Holy Week is the greatest religious event in all of Andalusia — and perhaps all of Spain. After weeks of preparation, thousands of people gather on the main streets of Seville to be part of the celebrations. Men dressed in creepy long tunics with pointy hats (“creepy” due to the resemblances with the KKK tunics, but not related) carry on their shoulders heavy altars with images of Christ and Mary. The city gains an eerie atmosphere as the strong incense smell that follows the processions blends with the scent of orange blossoms in the sidewalks. At night, there are music concerts all over town. • Most processions begin at 7:00 p.m.
• Some processions are done in absolute silence, so turn off your phone. • Choose wider streets and follow the procession for about 200 or 300 meters to see, listen, and feel the intensity of the ritual. • During Holy Week it’s mandatory to book accommodation, restaurants, and events in advance. • Respect people’s faith and dedication to these processions. The Seville Fair is one of the largest and most famous fairs in Spain. Marking the beginning of spring, the fair kicks off in April (usually 2 weeks after Easter Holy Week) in the neighborhood of Los Remedios. At the fair, you’ll find horse parades, flamenco music, and dancing, bullfighting, and Sevillanos dressed to the tee on private tent parties — this is Seville most exclusive party after all. The tents (called casetas) are privately owned by religious groups and rich people — does the name Duchess of Alba rings any bell? So unless you’re able to bribe the concierge, the only casetas you can enter are the ones run by the municipality. Hop on the metro in the city center and get off at the station Blas Infante. If you don’t mind the walk, you can reach the fair in 20 minutes from the city center. During the week, public buses operate 24 hours a day, and the fleet is reinforced — yet they’re likely to be crowded anyways. Hop on the bus C1, C2, or 41 and get off at Recinto Ferial. • Avoid the weekend if you can. If the weekdays are busy, the weekend is PACKED! • Visit the fair during the day. At night everyone gathers inside their casetas and if you didn’t score an invitation by a member, you’ll be left outside alone — and at night, nothing happens outside them. • The first Monday at midnight is the Alumbrado: the moment in which the major turns on the lights of the beautiful Portada, and the rest of the fairground. We’d say this is only night that is worth to be at the fair. • Food and drinks are expensive, so eat before going.